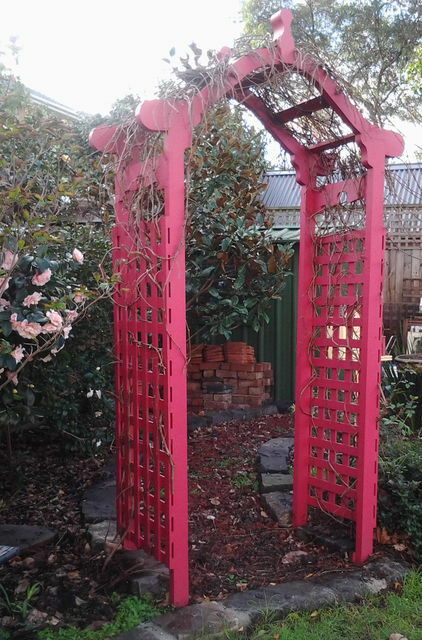 Lyrebird Enterprises' delightful Garden Arches will show those Jones' who's boss all year round! 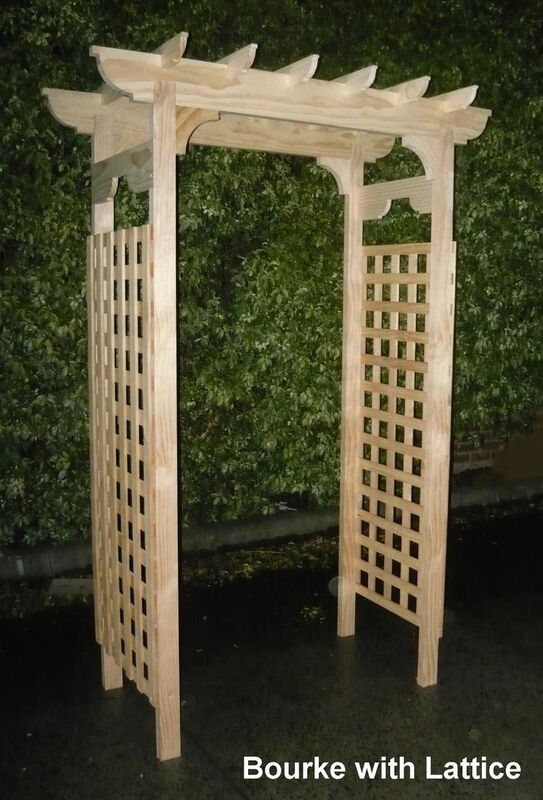 Our Garden Arches are made of LOSP(H3) treated pine, keeping them protected and looking fresh through all types of weather. 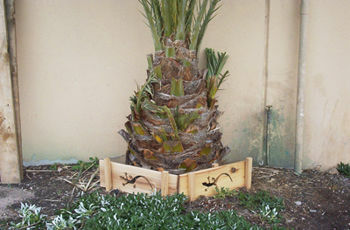 Cypress pine in-the-ground footings are also available. 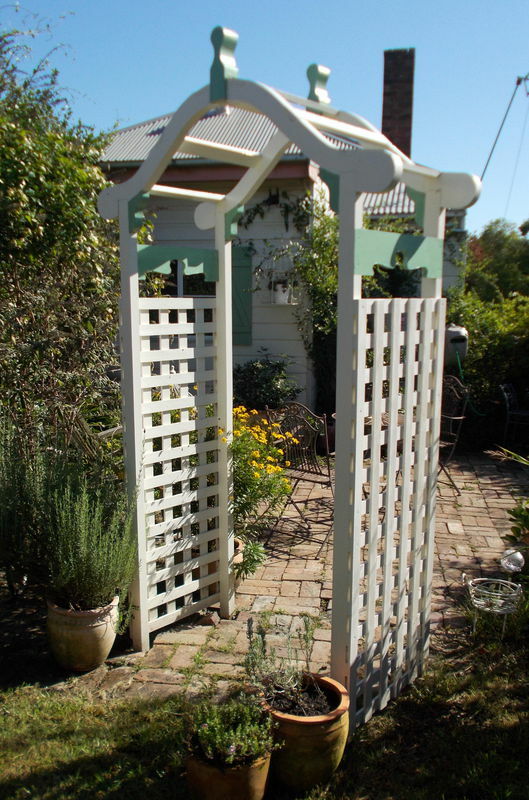 Available in a variety of profiles that will suit any garden design, our Garden Arches come with lattice or slat sides, to suit your planting needs. 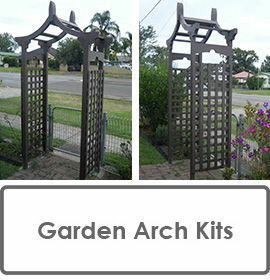 Assembly is quick and easy - Lyrebird's Garden Arches can be assembled in just 20 minutes. 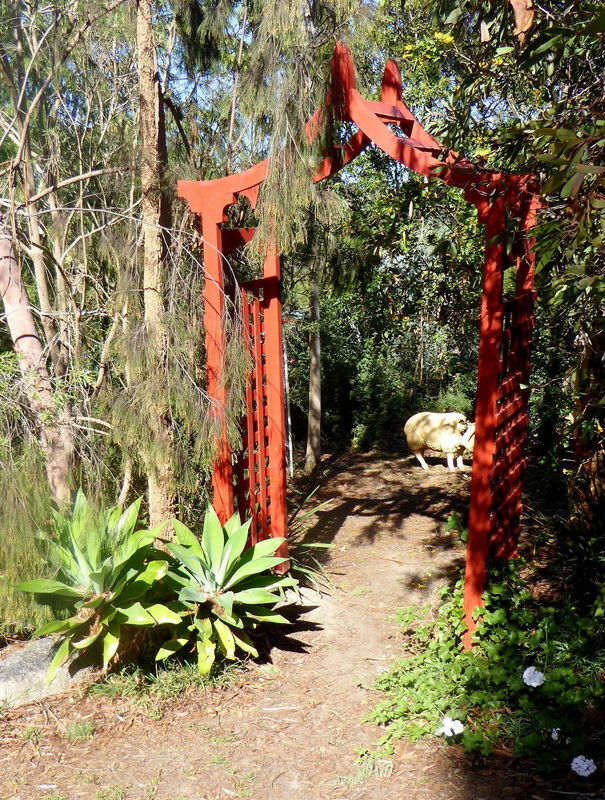 Ask us to include a seat in the centre of the archway, giving you a cool and refreshing spot to take a break from your gardening. And they look fantastic too! 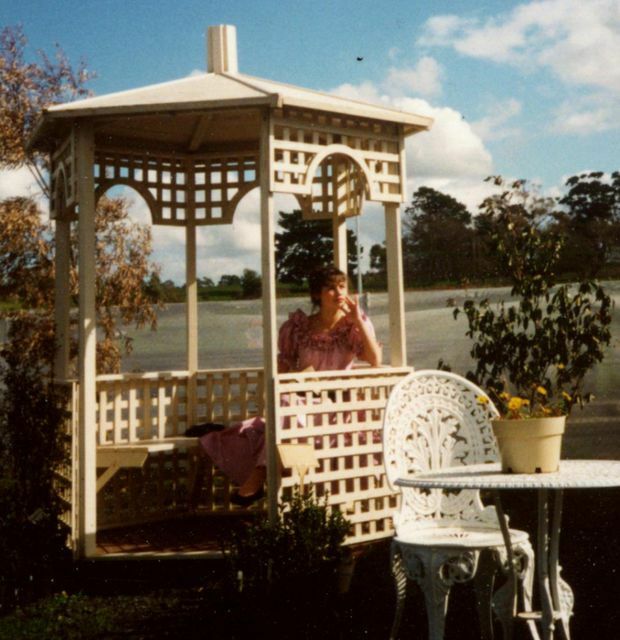 Please note: The seat shown here is for a Kent garden arch. 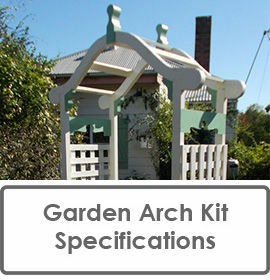 We have designed others to suit the type of arch you have selected. 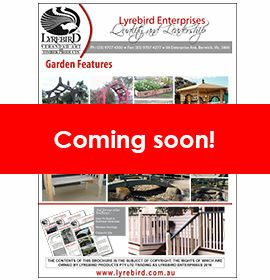 Also available: 1200mm, 1500mm and 1800mm wide. 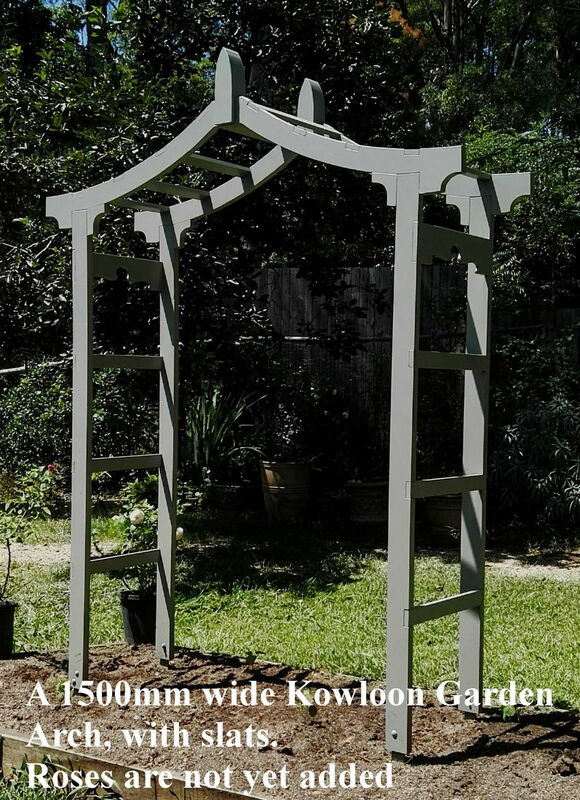 The Garden Arch framing - 4 Legs, 4 Top Curves, 2 Spires, 4 Leg Brackets and slats or lattice to suit. All necessary hardware - Each kit comes with 40mm, 50mm, 70mm and 100mm screws, everything you'll need to assemble it there and then. 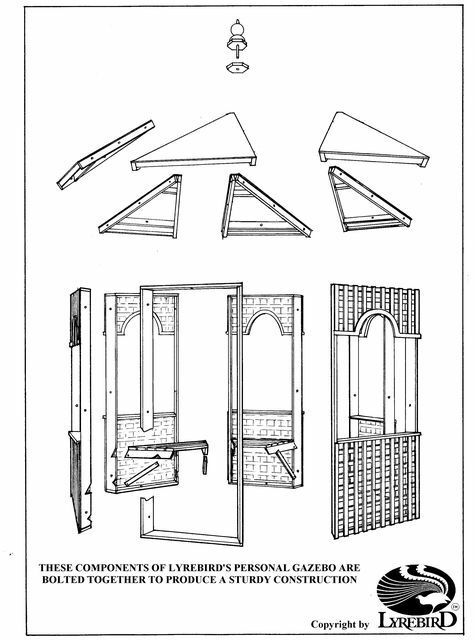 Full assembly instructions - We've outined the assembly from start to finish and provide drawings and examples. 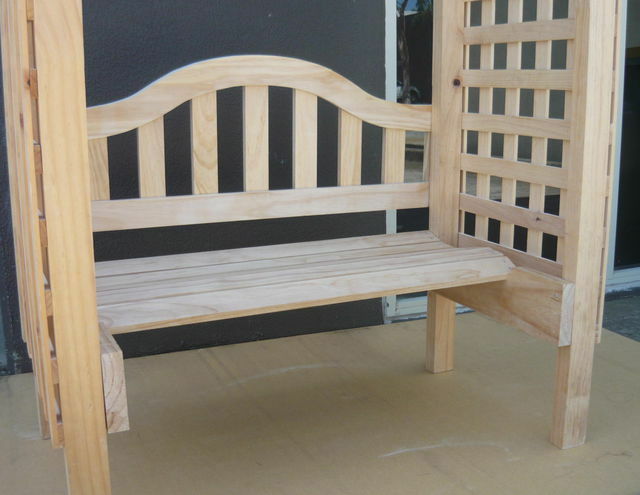 Also available: 1200mm, 1500mm and 1800mm internal width. 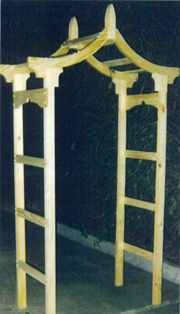 Garden Arch footing - The legs are best embedded in the ground with quick-set cement. 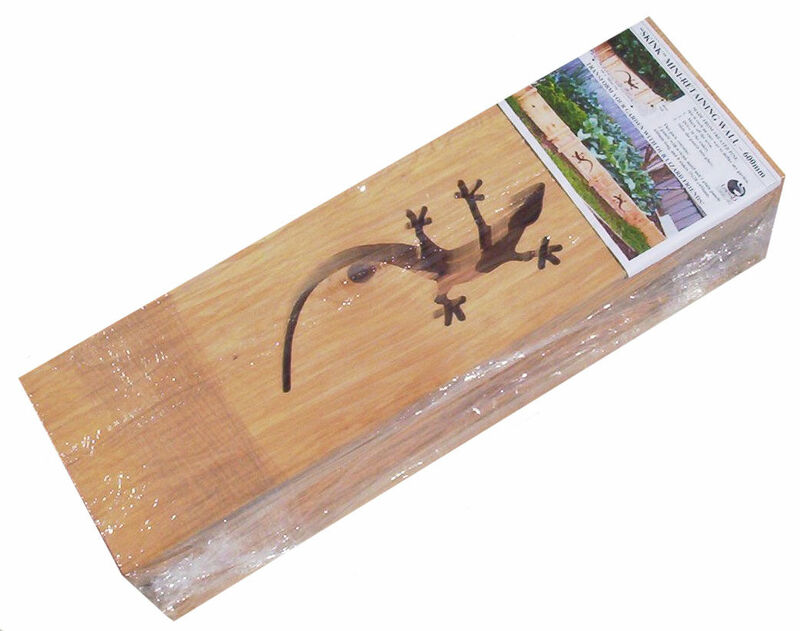 (Eco-Inground protection supplied). One bag of Rapid-Set cement will do all four legs. 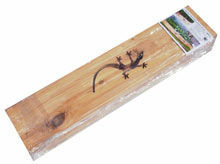 Cypress pine in-the-ground footings are also available - just ask when you place your order. 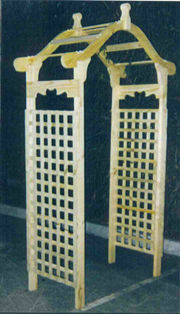 Painting - When painting, first apply an oil-based primer, after which any paint can be used. 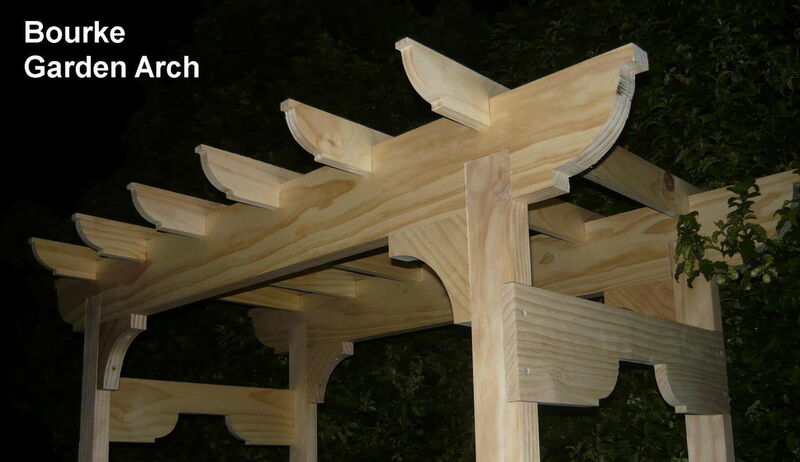 Some of the components may already be partly primed. 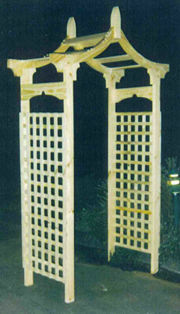 Transport tip - Our Garden Arches are often used as a focal point at celebrations, such as weddings and anniversaries. 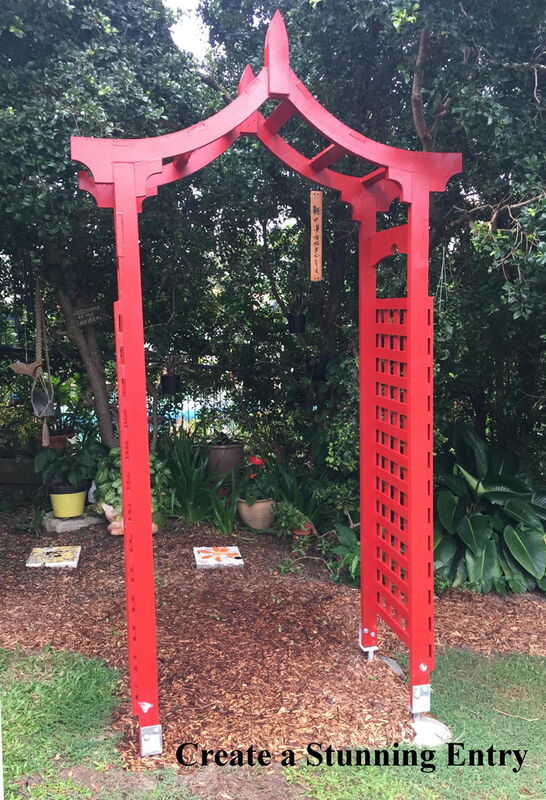 If you need to transport an assembled arch, just remove the two spires, and the two halves of the arch will fit in a station wagon. 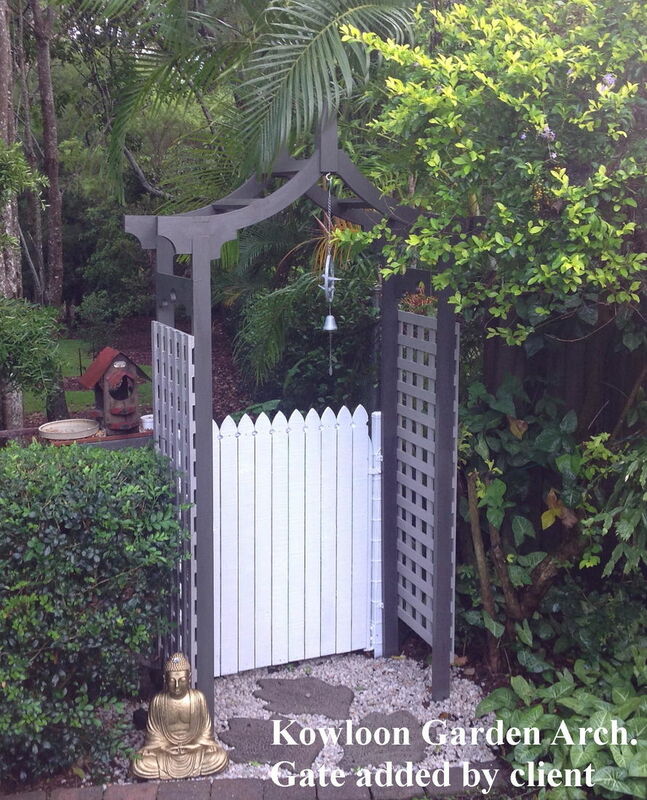 Looking for something a little bit different? We are the custom kings! 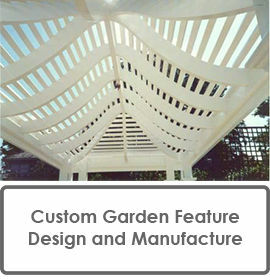 Have a look at this garden awning, that we custom designed and manufactured for a client's tennis court. Have an idea, but can't find it anywhere? Contact us with your ideas, and we'll help you make them a reality. 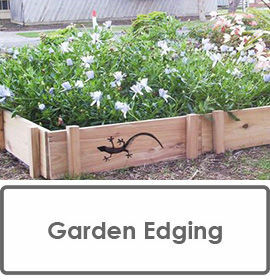 This charming garden edging will scare the bugs away! 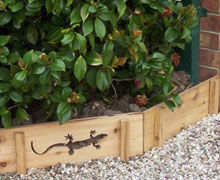 The short panels allow our friends to meander around the garden, circle trees and bushes, and guide you along footpaths. 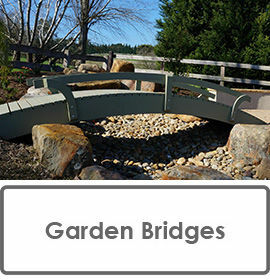 We've custom designed and manufactured a number of bridge profiles for customers in the past. 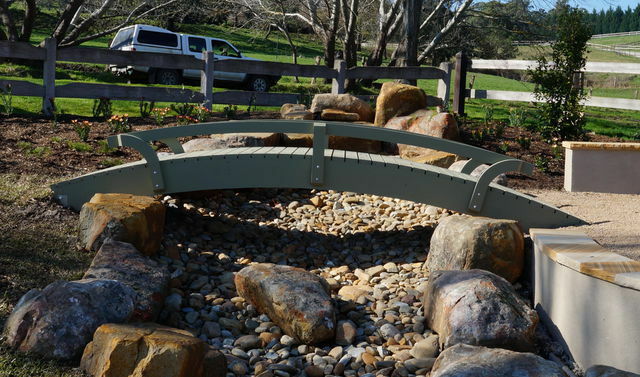 Have a creek or pond you'd like to stroll across? 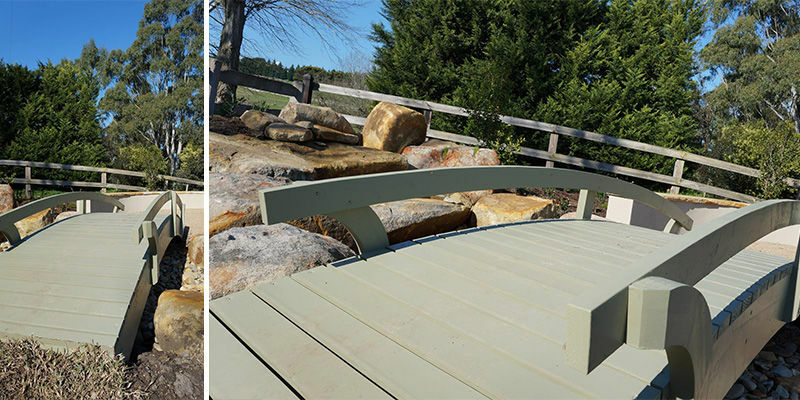 Contact us with your unique specifications and we can design and build your perfect water walkway. 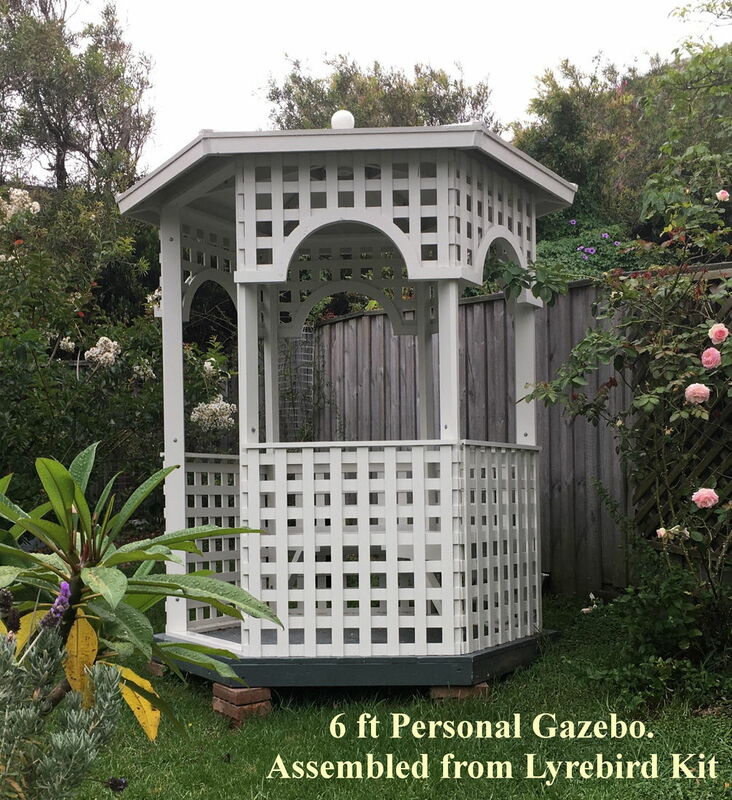 Personal gazebos - For larger gardens, we have a personal Gazebo kit product, that comes to you flat packed and ready to assemble. 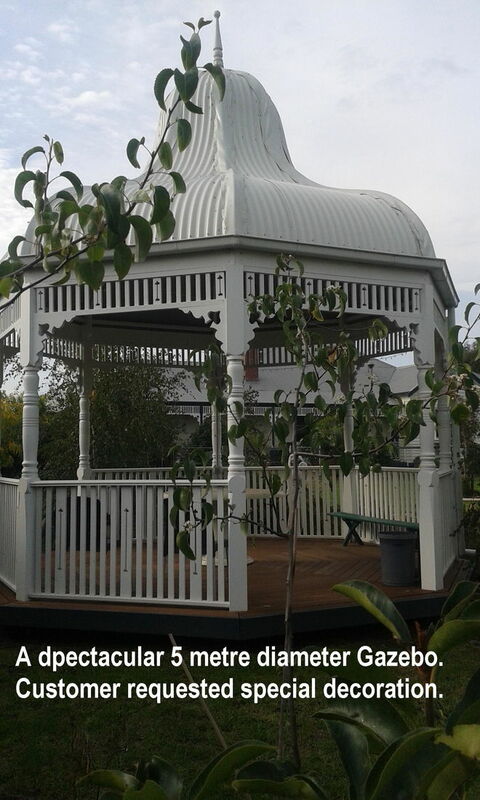 Community gazebos - We have also custom designed and manufactured a number of larger gazebos, for municipalities and local councils wanting to provide a meeting place for their local residents. 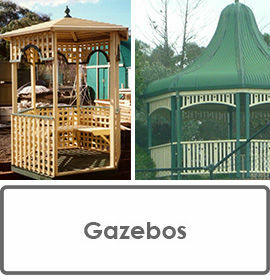 Contact us with your gazebo ideas and we'll help to make them a reality! 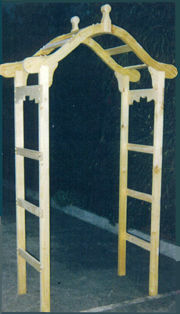 Kowloon Garden Arch, with gate added later. 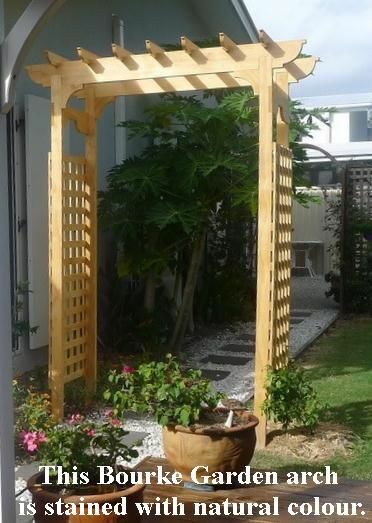 A 1500mm wide Kowloon Garden Arch with Slats.